This makes a large salad, but you may cut it in half for less servings. You may make this ahead of time (leave out nuts until just before serving) and keep in fridge until serving. Soooo delicious!! Mix all ingredients except nuts in large bowl. Add dressing and stir. Just before serving, add nuts. Combine dressing ingredients and let sit until sugar melts. Pour over salad and mix to cover all ingredients. Note: This dressing is excellent for coleslaw also. 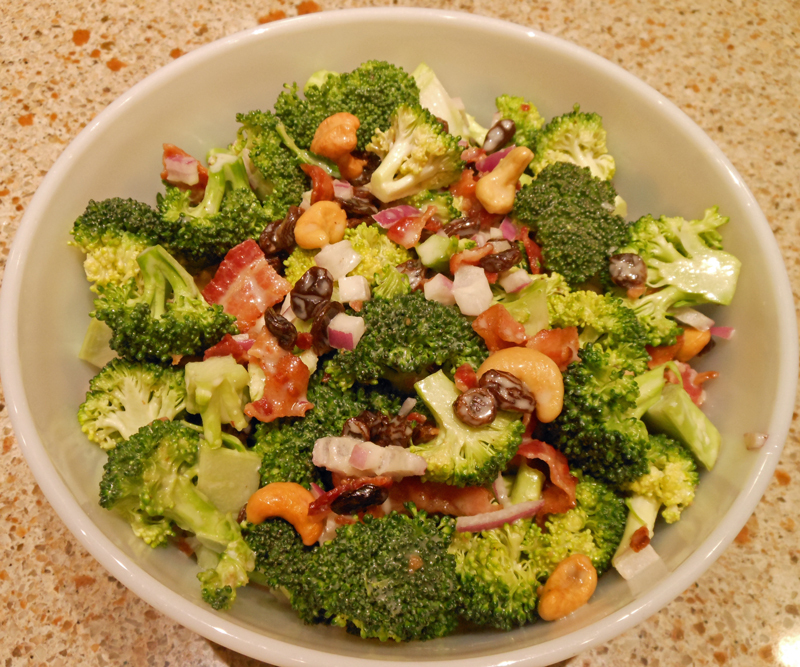 This is the best Broccoli Salad I have ever had.